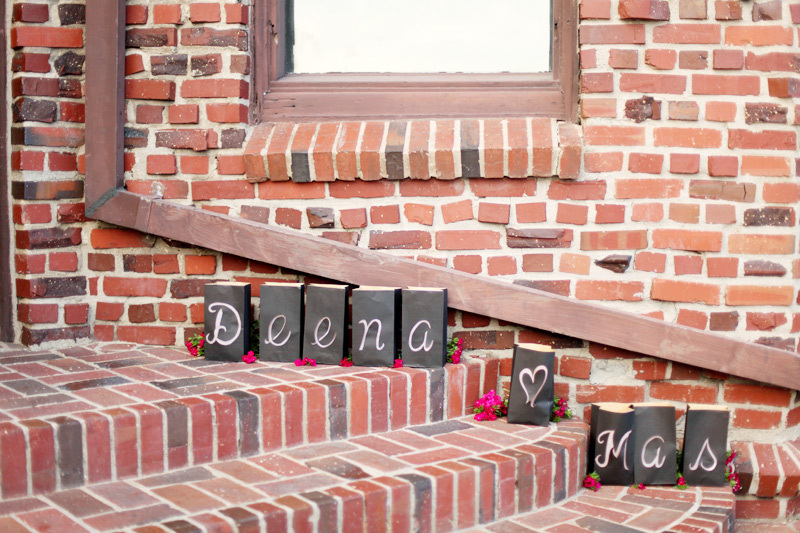 Please check out Adrienne Gunde’s blog for the entire post on Deena & Mas’ wedding… and give her some blog love for the loveliness she captured for us. Deena and Mas are the sweeeeeeeeetest couple, and they are so, SO cute together. I love them. 🙂 It warms my heart to see such happy photos from their wedding day. While I am not a personal fan of pinks galore, I do have to say we helped create a beautiful wedding with Deena’s vision. Not only did we do the flowers, but lots of details for the overall design… from the signage to the stationery, from the dessert table backdrop and dessert stands (out of plates and cups! )… it was a lot of fun to play with. Congrats to the Mr. & Mrs. Thank you for trusting me with your entire day. Here are some snippets, but be sure to check it all out here. 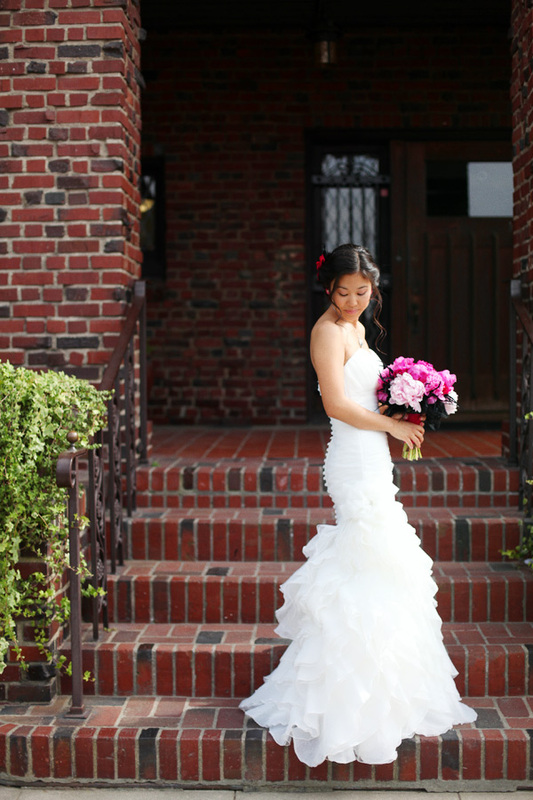 Thank you Adrienne for your gorgeous photos as always! 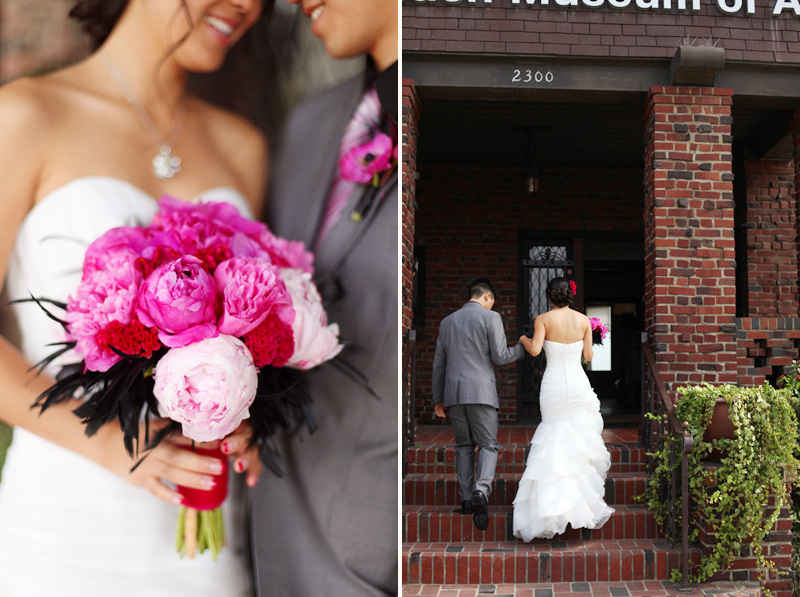 This entry was posted on Friday, June 17th, 2011 at 11:15 am	and tagged with Adrienne Gunde Photography, anemones, black and white wedding, black plumes, celosia, damask, event design, feathers, long beach museum of art, peonies, pink and black wedding, pink wedding and posted in Portfolio. You can follow any responses to this entry through the RSS 2.0 feed.